Working long hours doesn’t always afford the time to be with your baby. Learn effective techniques to spend time with the baby, even if you work long hours. It’s that tug we all feel on that first day back from work after maternity leave. The 40 hours at work plus the commute to and from means we don’t always get to spend time with the baby. Some of us may not even get home until 7pm or later, at which point the baby is ready to fall asleep (if he hasn’t already done so). And with washing bottles, making dinner, bathing the baby and packing for the next day, we feel deprived of time we want to spend with our kids instead. The guilt could even get so bad that you worry your baby might not “know” or bond with you as well as you’d hoped. The switch from spending all day with the baby during maternity leave to a handful of hours can be jarring for many of us. We feel guilty for not being with the baby to frustrated at the situation we’ve found ourselves in. The thought of my pump parts sitting in my work fridge for hours did not sit well with me. I couldn’t stand the thought of leaving them unwashed any longer, so the first thing I did the minute I came home was wash them. Problem is, that—along with other chores I did right away—took time away from the baby. I knew I had to make a decision about what I wanted to do when I got home, and I realized that washing pump parts wasn’t exactly one of them. So, as much as I wanted to hang those washed and cleaned parts on the drying rack, I instead stuffed them into my own fridge to sit even longer. I’d get to them at some point, but not right then and there. I also realized I didn’t have to cook dinner the same night I planned to eat it. Sure, fresh-cooked meals always beat leftovers, but that was precious time I could’ve been spending with the baby. So instead of cooking for the night, I’d cook after the baby was asleep, and eat the meal the next day. Because chores don’t have a time limit the same way a baby does. He has to be asleep by 8pm, whereas you can always cook and store dinner anytime after that. Move the hours around and find ways to tend to chores besides right after coming home. Think about all the ways you spend your time, and whether they make for a good use of it. 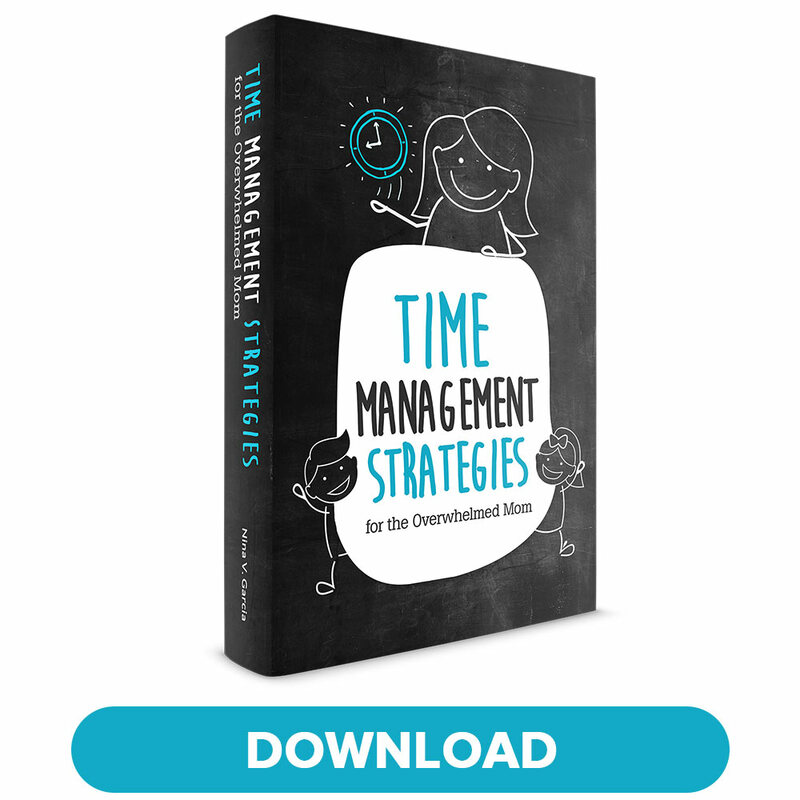 We all know about television and the typical time-suckers, but what about other ways you could turn into a better use of your time? For instance, do you run through your tasks on a one-by-one basis, like packing your diaper bag, cooking meals or preparing baby food? 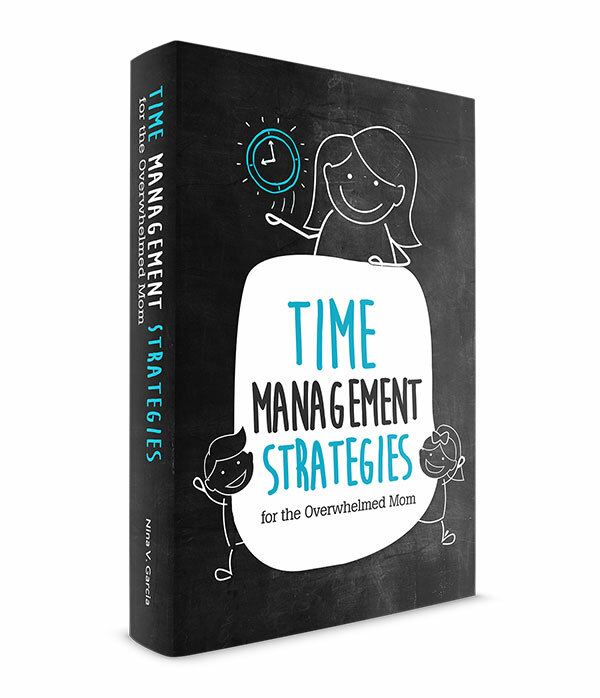 One of the easiest ways to cut down on time is to batch tasks together. Rather than preparing baby food for the day or even the week, what if you batch several meals to last a month? Instead of cooking every day (even after the baby is asleep), what if you cook freezer meals on the weekend to last the whole week? Save time on chores by doing similar tasks at the same time instead of as you see fit. You might take a few minutes to empty and refill all the trash cans in your home instead of doing them individually. Doing the same tasks in one chunk can save you time in the long run. I’m frugal, so outsourcing tasks didn’t always make sense to me in the beginning, especially for tasks I knew how to do. But sometimes you find yourself so strapped for time that keeping your sanity is worth hiring out tasks you wish someone else would do. Get more tips about keeping your sanity as a new mom. Hiring out tasks you wish someone else would do may be worth it if it means buying you more time. Depending on your job, you might be able to ask for a flexible or part-time schedule that allows you to spend more time with the baby. Working earlier so you can leave earlier will give you a few more hours in the afternoon. Four ten-hour days can give you one full day to be home. Even reducing your hours can make a huge difference, both in how you feel about work and your home life. When asking for a flexible or reduced schedule, frame the request as a benefit to your employer as well, not only you. Make it a win-win situation, and offer a trial period so your employer doesn’t feel locked in to anything. And as always, leverage your role and “career capital”—it’s hard to make requests when you don’t have a history of performing well at work. Sometimes the guilt of balancing work and home takes such a toll that we assume we’re not spending any time with our kids. According to author Laura Vanderkam, we actually have more time than we think. 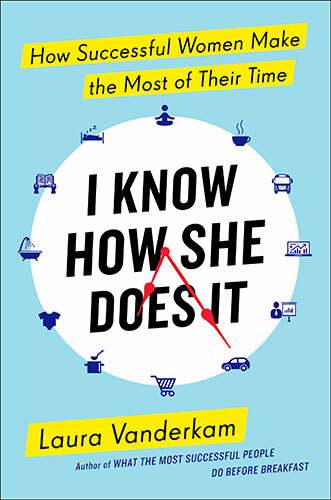 In her book, I Know How She Does It: How Successful Women Make the Most of Their Time, she shows how to take a look at our schedules to determine how much time we really spend at home. Looking at a “typical” work day, we not only get an inaccurate picture of the hours we spend working, but we usually pick the “worst” days to base our assumptions on. It’s easy to overlook that time we came home at 3pm or the vacation days we take off. We focus instead on the 12-hour work days, even if those long days aren’t the norm. And this doesn’t even take into account the weekends, which is also yet another opportunity to be home. My kids are now past the baby stage, and I can see a huge difference in how I view parenthood then and now. In those early months, your baby likely spends a majority of the time sleeping and taking multiple naps. This is also when he’s so dependent on you for everything that it makes it hard to imagine a time when you’re juggling less tasks. 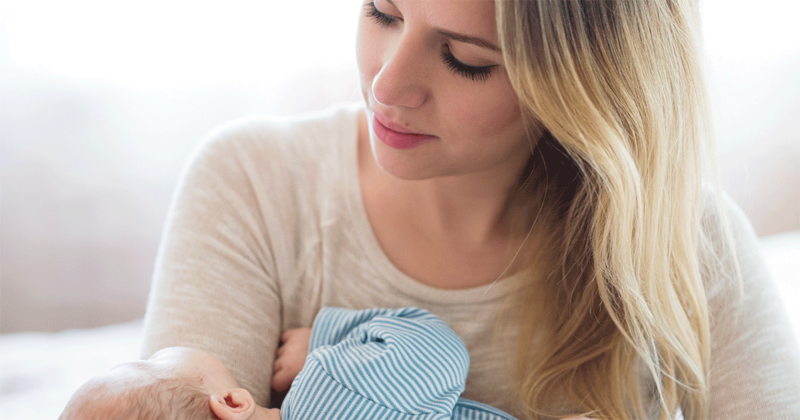 Rest assured, your baby won’t always nap four times a day. You won’t wash pump parts or mash baby food forever. He’ll grow into a toddler who can entertain himself while you make dinner, and play in the living room so you can actually prop your feet up. This season, like all seasons, will pass, hardships and all. As difficult as it is to project that far into the future, know that whatever difficulties you now have will likely ease as your baby grows. Despite your biggest fears, your baby won’t grow up wondering who you are. You won’t spend weekends or the hours after work having to convince him you’re his mama. We focus on how much time we spend with our kids that we forget our relationship runs deeper than that. Your child won’t keep tabs on whether you were home after school or how late in the day you picked him up. Instead, he’ll relish the sweet, simple moments you have together, whether that’s 10 minutes or 10 hours. It’s these ordinary moments that matter more than clocking in enough time to be with him. Don’t discount those regular moments, from diaper changes to bathing the baby. They may seem like hassles, but they also provide a wonderful opportunity to bond. Your baby doesn’t care if you’re changing diapers or playing at an indoor playground—all he sees is you. Read more about the importance of the ordinary moments. Don’t discount the ordinary moments. This may be your new reality, one that could even have come as a shock, as you go back to work. The hours away from your baby is especially worse if you didn’t like your work to begin with. No wonder those first few weeks back at work can feel tough. But rest assured that you won’t always feel like this. You’ll find creative ways to hack your time. You’ll make a mindset shift to ease the guilt and remind yourself of the simple moments that matter most. And you’ll focus on the time you do have with the baby—after all, he isn’t counting hours, only memories, with you. 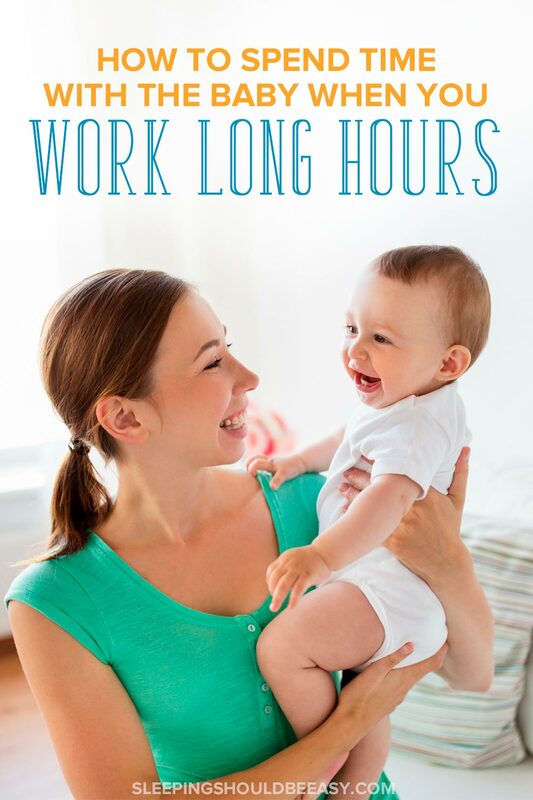 Tell me in the comments: How do you spend time with the baby when you work long hours?